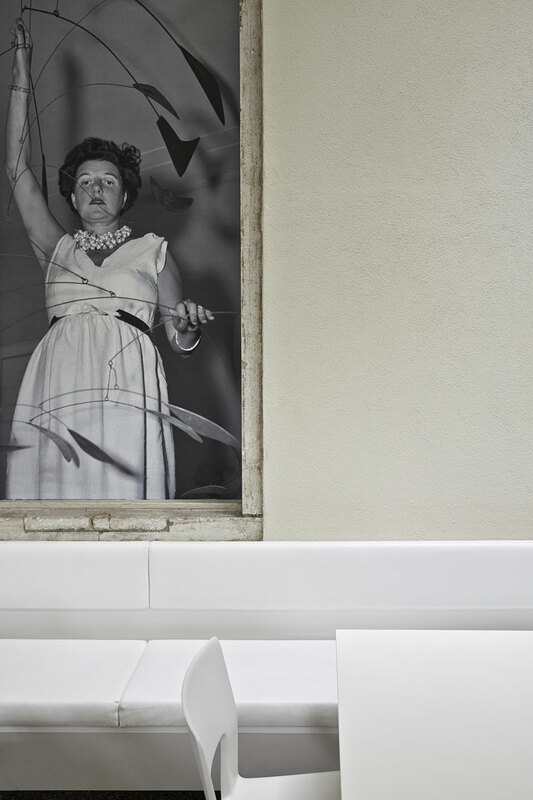 Peggy Guggenheim (1898 - 1979) was both a virtuoso art collector and champion for the betterment of 20th century art. 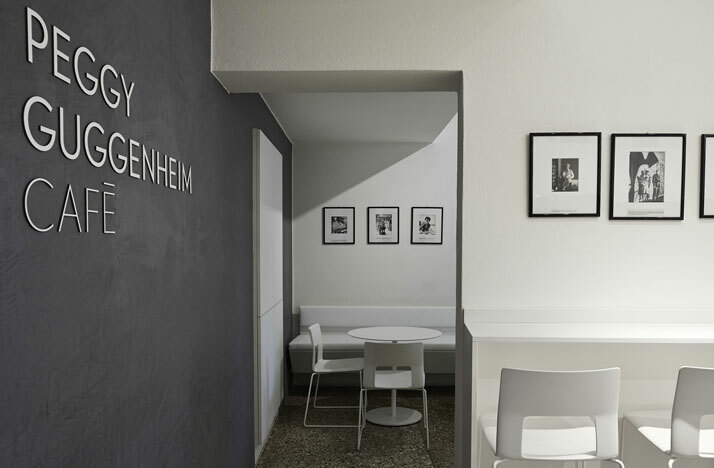 Part of the Guggenheim dynasty (her uncle Solomon established The Guggenheim museum in New York City), Peggy Guggenheim was a New York native, whose dedication to and advancement of 20th century art was a vocation that lasted throughout her life. She spent a number of years in Europe and it was here that her art career began in earnest. Fleeing Nazi occupation in 1941, she continued with her profession in New York, acquiring artworks for her collection and opening the museum/gallery, Art of This Century. photo © Hangar Design Group. 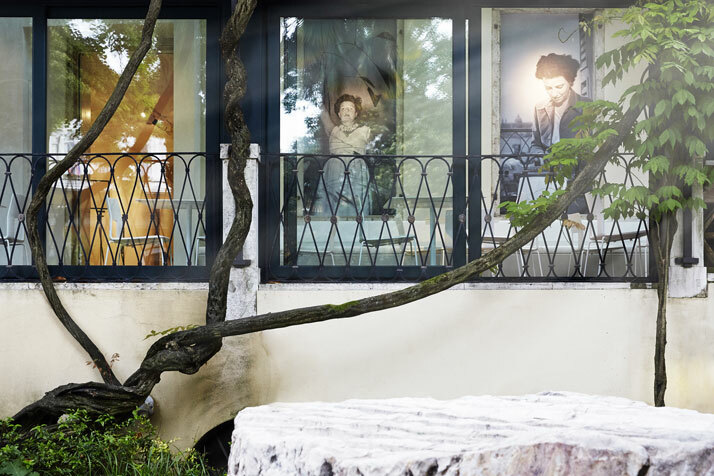 Upon returning to Europe in 1947, she exhibited her collection (including works by Jackson Pollock and Mark Rothko) at the 1948 Venice Biennale. 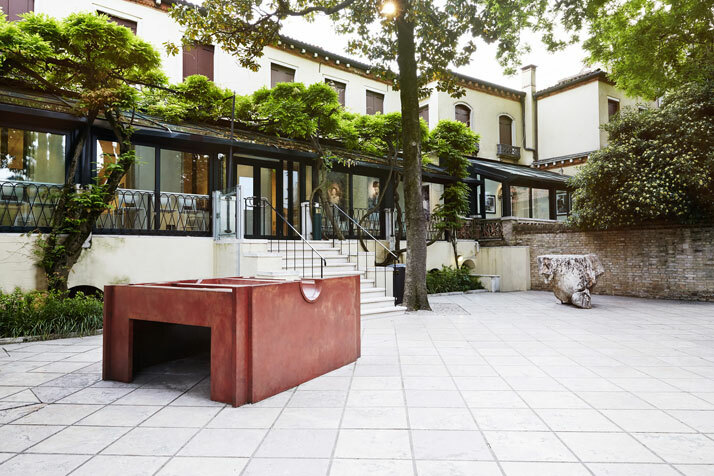 Shortly after, she bought the Palazzo Venier dei Leoni on Venice’s Grand Canal which became a home to both Peggy and her collection which she opened yearly to the public, during the summer months. Peggy went on to bequeath both the Palazzo and her artworks to the Solomon R. Guggenheim Foundation. 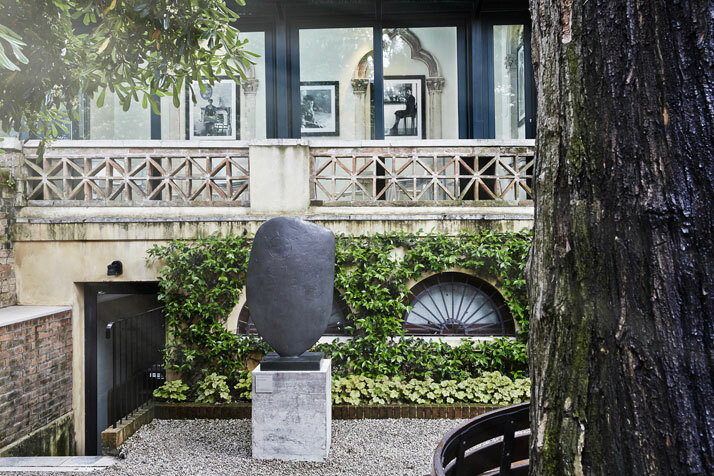 In the years following her death, the Guggenheim Foundation transformed the Palazzo Venier dei Leoni and the Peggy Guggenheim Collection, into a modern art museum of international repute. It is with this context and history in mind, that any approach to modernising such an art museum must be a punctilious one. 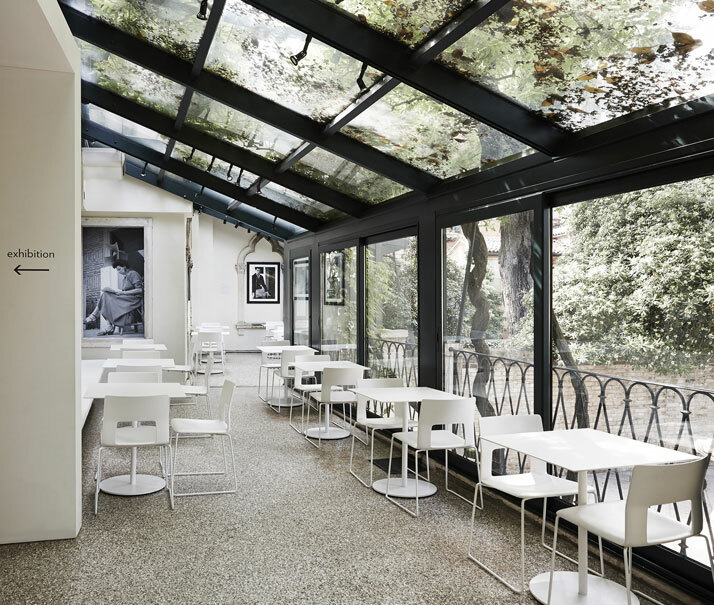 Commissioned to renovate the Peggy Guggenheim Café within it, Hangar Design Group, a multidisciplinary creative bureau headquartered in Italy, at first needed to consider and alter the visitor’s route through the museum, to the café. It was important that this layout be logical, fluid and mindful of the building’s purpose. 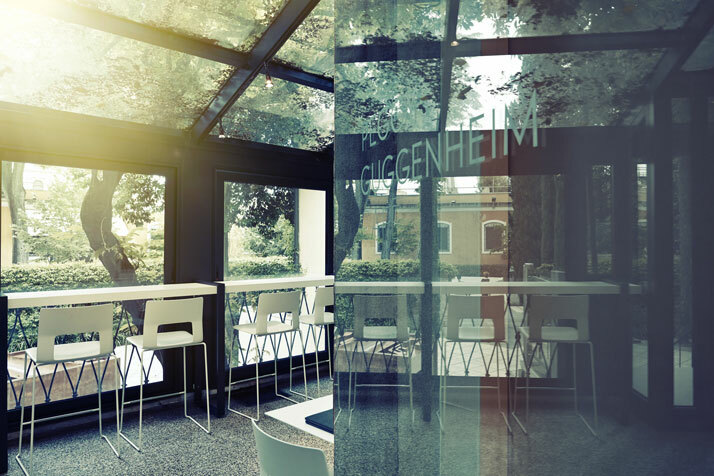 The café itself is located on a veranda that overlooks a lush green central interior garden. 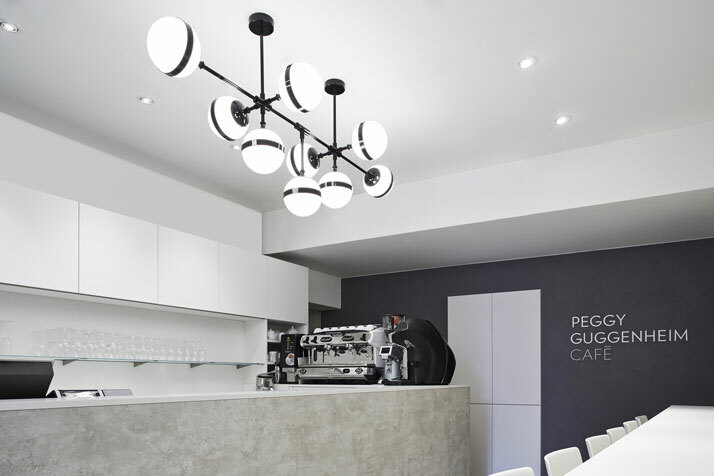 Hanger Design Group worked to zone the café, defining areas commensurate with their intended function. 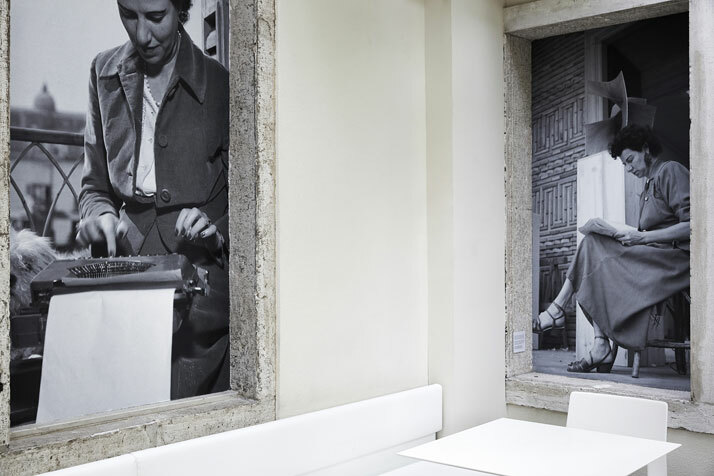 For example, a quick lunch can be enjoyed at a long counter that faces the garden, whereas a relaxing break can be had in a more intimate tearoom. 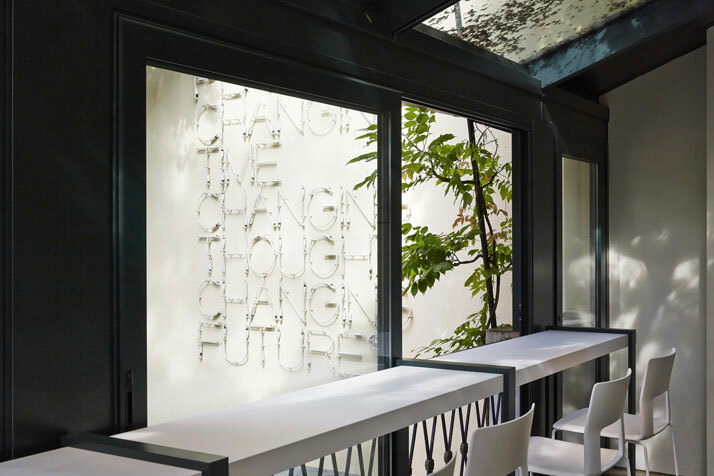 A large white portal also acts as a passage from the café to the exhibition spaces. 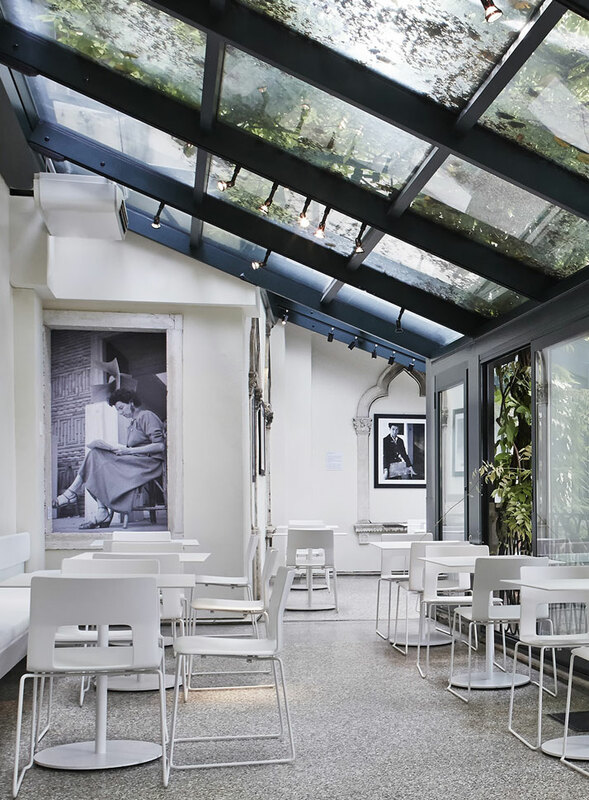 The interior architecture of the 18th century Palazzo Venier dei Leoni is a handsome backdrop for the café’s contemporary design aesthetic where white walls, with travertine marble and Istrian stone inserts, and an abundance of natural light, lend to the cafe’s uncluttered design. 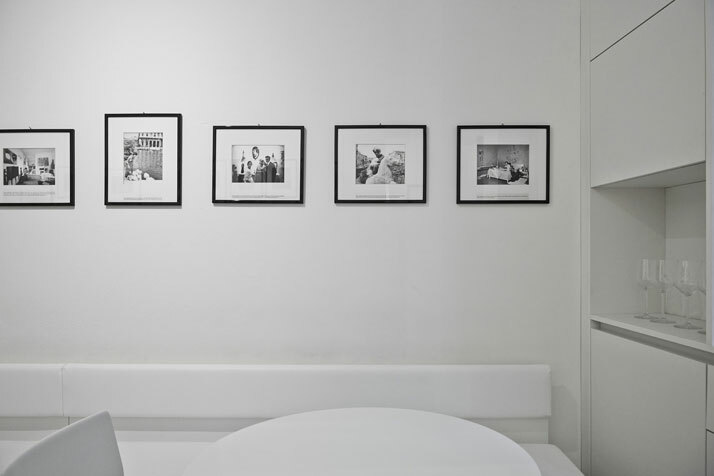 A beautiful and minimal counter was originated by Italian design company Arclinea whilst white tables and chairs, both graceful and practical, were purchesed by the Italian furniture brand, Desalto. 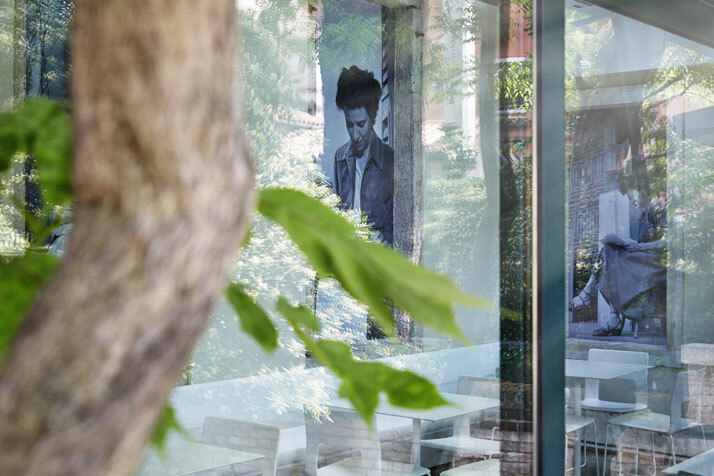 The effect is one of interconnectedness between both the café and garden. A rather stunning light, appearing almost as a floating mobile, was designed by the Hangar Design Group. Named ‘Peggy’, this modernist-inspired piece was made by Italian glass lighting manufacturer, Vistosi. 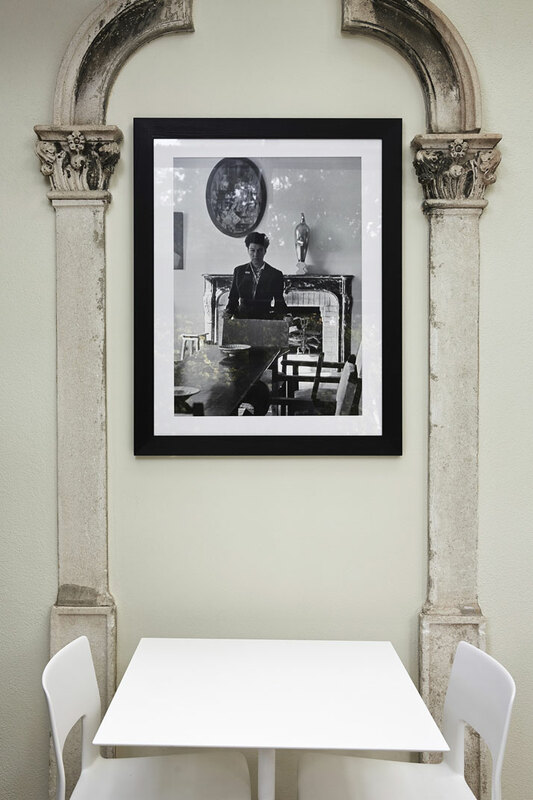 Mingling with the contemporary interior, a series of inviting and iconic black and white portraits of Peggy Guggenheim reflect the essence of this fascinating individual within the milieu of her own home.